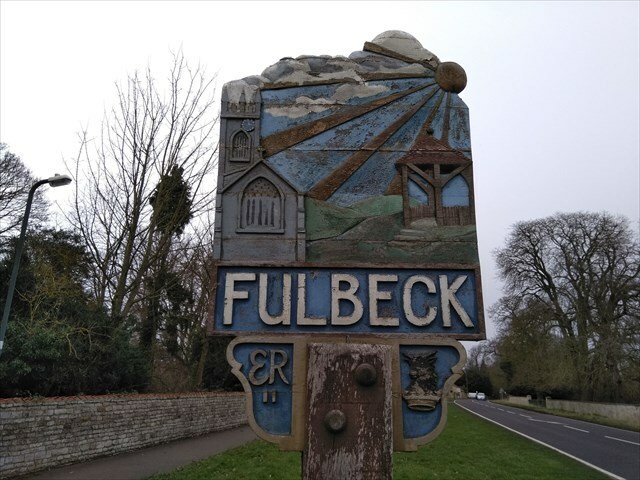 The place-name 'Fulbeck' is mentioned in an 11th-century document as "Fulebec". It derives from Old Norse fúll and bekkr "stream". In 1885 Kelly's Directory recorded that the chief crops grown in the area were wheat, barley, seeds and turnips, and that the village had both a Wesleyan and a Primitive Methodist chapel, and an ancient cross. The base and shaft are all that remains of the 14th-century cross. 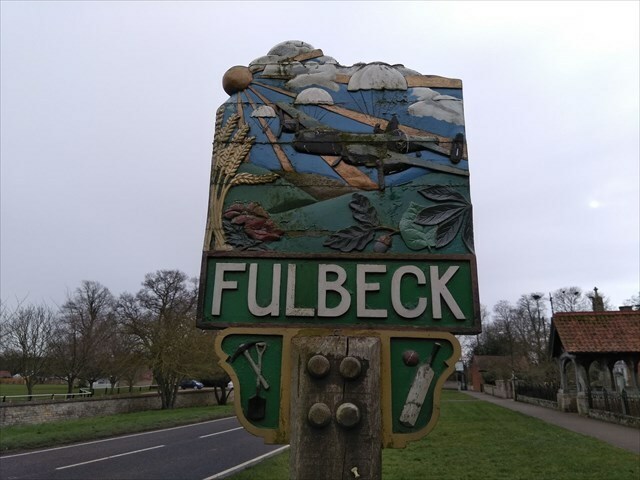 Fulbeck Hall has been home to the Fane family since 1632. During the Second World War 1939-1945 the house was requisitioned by the British Armed Forces and it was the location of the 1st Airborne Division before they left the United Kingdom for the Battle of Arnhem. There is still an Arnhem Museum at the house commemorating the soldiers based in the house during the war. Look at the small plaque on the village sign. Use the two words in the last line and convert the letters to there position in the alphabet. A=1, B=2 etc. . .